The following report is a free and complete Quwa Premium sample for all readers. At Quwa, we make a concerted effort to provide high-quality, detailed and timely research and analysis of current Pakistani defence and security issues. While we largely rely on open source information, we offer analytical depth and insights that are not readily available in free media. Moreover, we offer our services to our readers at an accessible monthly (no term commitment) price of $9.99 USD with unlimited access to past articles. This is our inaugural Quwa Premium Monthly Report. Given that it is coming at the end of 2017, it felt that an annual review of Pakistan’s defence procurement activities of this year would be an appropriate way to start the monthly series. However, 2018 will see Quwa publish reports on a wide range of topics, some tying closely to the news cycle and providing information with analysis, with others aiming to provide insight on core issues relating to Pakistani defence, such as economic factors (such as a deeper examination of defence contracts, the government’s fiscal state in the next three to five years and its potential impact on defence spending, etc), foreign relations and technology development, be it within Pakistan or outside but with relevance to Pakistan (e.g. in China). The Pakistan Army, Navy and Air Force are at all phases of their respective modernization efforts. What is meant by “all phases” is that each of these service arms are laying the groundwork for future purchases, undertaking induction, and completing programs contractually initiated in earlier years. Of the latter set, Pakistan had progressed with JF-17 Thunder multi-role fighter, the HQ-16 medium-range surface-to-air missile (SAM) system and Azmat-class fast attack craft-missile (FAC-M) programs. In 2017, China has fully established itself as Pakistan’s leading supplier of defence hardware, with the U.S., Europe, Turkey and now Russia each playing complimentary roles, though far from the mainstay role played by China. However, in 2017 a vision was set, especially by the Pakistan Air Force (PAF), to substantively reduce the need to import big-ticket items and weapon systems. In this regard, the PAF formally inaugurated the Kamra Aviation City complex in July. Housing Pakistan Aeronautical Complex (PAC), the Aviation Design Institute (AvDI) and a Kamra-based campus of Air University Islamabad, Kamra is envisaged to become a home to growth in the country’s commercial and military aviation industry. Under Project Azm, PAC and AvDI have been tasked to develop and manufacture a fifth-generation fighter (FGF) and medium-altitude long-endurance (MALE) unmanned aerial vehicle (UAV) for the PAF. While not as ambitious as the PAF from the standpoint of weapon systems design, the Pakistan Navy (PN) is, nonetheless, intent on recapitalizing and expanding its fleet across all spectrums – i.e. surface, aerial and sub-surface. In 2016, Pakistan inked a deal with China Shipbuilding Industry Corporation (CSIC) for eight new air-independent propulsion (AIP)-powered conventional submarines. Designated the Hangor – formerly the pennant of the retired Daphne diesel-electric submarines (SSK) – the CSIC submarines are to be delivered in two tranches: four imported from China by 2023 and four constructed at Karachi Shipyard & Engineering Works (KSEW) and delivered to the PN by 2028. This is the marquee program of the PN as it both rebuilds and expands the PN’s sub-surface fleet, providing it with a fleet to allocate for anti-access and area denial (A2/AD) of Pakistan’s littoral waters and to deploy to cover Pakistan’s exclusive economic zone (EEZ) so as to deter enemy activity in the EEZ and Pakistan’s sea-lines-of-communication (SLOC). The recapitalization program also involves the procurement of new frigates and corvettes, which could confer the PN with notable improvements in its ability to guard Pakistan’s EEZ and SLOC in peace and wartime. The most notable news regarding the Pakistan Army has been its attack helicopter acquisition program – i.e. the looming delivery of the Bell Helicopter AH-1Z Viper and Russian Helicopters Mi-35M as well as the Pakistani government’s negotiations with Ankara for the Turkish Aerospace Industries (TAI) T129 ATAK. With such heavy investment, it appears that attack helicopters are to form a relevant close air support (CAS) element for the Army’s ground operations. However, it is unclear how the latter will be shaped. The production of new al-Khalid main battle tanks (MBT) is slower than desired, with Heavy Industries Taxila (HIT)’s output being lower than capacity. The possibility of new wheeled armoured fighting vehicles (AFV) now seems to be tenuous, while the pursuit of new wheeled self-propelled howitzers and modular assault rifles are tentative. However, given that these programs will impact the Army for the long-term – i.e. up to an entire generation if not longer – and require significant expense, the Army is likely to move slowly and defer its procurement for systems that provide decisive improvements over current armaments. Unfortunately, while there are many promising medium-to-long-term programs slated to enter Pakistan’s procurement pipeline, there are also problematic risk-factors. First, Pakistan’s tenuous fiscal situation and a government that might be required – either within the current term or after the 2018 federal elections – to tighten spending to repay maturing loans. Just as Armed Forces Development Program 2015 (AFDP-2015) before, the aforementioned programs could plausibly be at-risk of reduction, delay or cancellation due to fiscal constraints. Second, the Pakistani government has not provided a clearly articulated plan for fully improving the country’s fiscal situation, much less an execution strategy for revenue generation, targeted spending and other necessary assurances. Third, neither the government of the leaderships of each of the armed forces’ service branches have established a connection between foreign relations and national security policy and their respective impacts on defence procurement and spending. The enclosed report will outline and discuss each of Pakistan’s service arms’ procurement activities in 2017 in detail and aim to identify trends of relevance to their respective strategies and discover possible avenues or plans for procurement for 2018. It is our hope that this report serves several functions: First, assorting procurement news in 2017 between firm orders, evaluation, tentative plans and speculation. Second, by offering insight into potential areas of interest for the defence industry engaged with Pakistan. Third, to touch upon related external factors that can impact procurement plans, such as the economy. 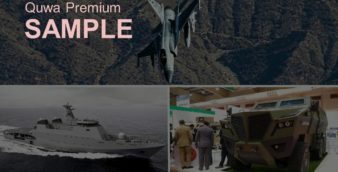 The following is a detailed overview of the marquee areas of interest surrounding ongoing procurement and procurement plans by the Pakistan Army. This is not exhaustive, but it provides complete details of noteworthy activities (and lack thereof) using open-source information. Overall, the Army’s near-term focus has been on staging a firm long-term procurement roadmap for its aircraft fleet, specifically attack helicopters, utility helicopters and lightweight utility/scout helicopters. While slower than desired, the Army is also progressing with its tank procurement and modernization efforts. These are tentative. However, while not moving ahead with prospective self-propelled howitzer and/or assault rifle programs (for which it had ran trials in 2016), the Pakistan Army did not step away from either prospect. It continued speaking to original equipment manufacturers (OEM) on both matters in 2017. These could be cases of moving conservatively due to the necessary longevity and certain cost-implications of these programs. The Pakistan Army is awaiting delivery of the 12 Bell Helicopter AH-1Z Viper and four Russian Helicopter Mi-35M it ordered from the U.S. and Russia, respectively. The Mi-35Ms have reportedly been delivered, with the Defence Export Promotion Organization (DEPO) informing the Russian news agency RIA Novosti of the matter in August. The Mi-35M contract is valued at $153 million U.S. inclusive of its support and maintenance equipment. In June, Bell Helicopter’s Vice President of International Military Sales Rich Harris stated that AH-1Z deliveries to Pakistan were due to begin before the end of 2017. However, the U.S. is still issuing subsystem contracts for the program, the most recent one coming in December for General Dynamics-OTS Inc.’s A/A49E-7(V4) gun turrets. The total value of the AH-1Z deal is $952 million U.S. for 15 AH-1Z and 1,000 AGM-114R Hellfire II anti-tank guided missiles (ATGM). In 2016 and 2017, Pakistan also ordered an unspecified total number of Leonardo AW139 search-and-rescue (SAR) and emergency medical services (EMS) helicopters. Along with the Pakistan Air Force (PAF), the Pakistan Army began inducting the AW139 in 2017. According to the Ministry of Defence Production’s (MoDP) annual report for 2015-2016, a $78.94 million U.S. order was placed for four SAR helicopters (likely AW139). 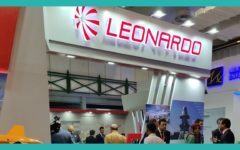 Leonardo has not disclosed the quantitative figure of Pakistan’s AW139 order. In addition to the AW139, the Army also placed orders for nine Airbus Helicopters H125m scout helicopters for $37.63 million U.S. Through 2016 and 2017, Pakistan negotiated with Turkish Aerospace Industries (TAI) for the procurement of 30 TAI T129 ATAK attack helicopters. Derived from the Leonardo A129CBT, the T129 is lighter in weight than the AH-1Z, indicating that it was being sought to serve a supplementary role to the Viper. TAI hoped to conclude the deal in late 2017 or early 2018. The T129 deal is reportedly worth $1.5 billion U.S. The viability of this deal is tied to securing a line-of-credit from Turkey, which Ankara is reportedly willing to extend for Pakistan to back the prospective T129 and MILGEM corvette purchases. The Pakistan Army also operates an unknown, but likely sizable number (45 as per Flight Global) of SA330 Puma transport and utility helicopters. These are an aging type, but at seven tons, they complement the Mi-17/Mi-171 as a lighter general-purpose helicopter for troop transport and logistics. Recapitalization of this fleet through a new platform might present the industry with a long-term opportunity, one spanning multiple batch orders, long-term after-sale servicing, training and co-production. An alternative scenario to acquiring a new platform could be to bifurcate the helicopter fleet between ‘heavy’ and ‘light’ platforms – i.e. replace the Puma with additional AW139 (light) and Mi-171 (heavy). 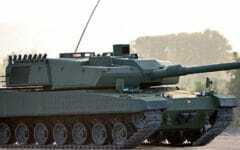 The al-Khalid main battle tank (MBT) was envisaged to be the mainstay MBT of the Pakistan Army. Due to budgetary issues however, Heavy Industries Taxila (HIT) has only been able to roll-out on average 18 per year despite having the capacity to produce 50 annually. However, a visit to HIT by a Pakistani television broadcaster revealed that HIT did transition to AK-1 – i.e. an improved iteration of the al-Khalid (AK) – in its serial production output, ostensibly reaching the 22nd tank (unclear if it is of the series or the year). However, the MoDP states that HIT only manufactured three and nine AK and AK-1 MBTs, respectively, in 2015-2016. Hence, it appears that the 22nd AK-1 at HIT is in fact the 22nd serially produced AK-1 to-date, not for just 2016-2017 but since at least 2015-2016. Neither HIT or the Pakistan Army provided an outline into how many AK-1 MBTs are to be produced, but Pakistan did place an order for 200 unspecified tank engines from Ukraine during the 2016 International Defence Exhibition and Seminar (IDEAS), a biennially-held defence exhibition hosted in Karachi. However, even if these are solely the 1,200 hp 6TD-2 diesel engine (which powers the AK), then fewer 200 new AK/AK-1s could be order as it is possible that some of the engines will be allocated for overhauling older AK tanks. In February Pakistan ordered 40 MaxxPro DASH DXM mine-resistant ambush-protected (MRAP) vehicles from the U.S. for $35 million U.S. Nothing else has been announced in terms of procuring a new armoured fighting vehicle (AFV) platform or inducting a large number of new armoured 4x4s. Besides new procurement, HIT has also been engaged in remanufacturing work for older armoured personnel carriers (APC) and self-propelled howitzers (SPH) already in use with the Army. For 2017, HIT said it was aiming to rebuild 100 APCs and 15 SPH for the Pakistan Army. For the Army’s long-term procurement, HIT had announced to Pakistan’s Senate Standing Committee on Defence Production (on 30 November 2017) that it was developing the al-Khalid 2 (AK-2). Like the AK/AK-1, the AK-2 is envisaged to be the mainstay MBT of the Pakistan Army, but in line with future technology and outside industry trends. Details of the AK-2 are tentative and speculative for the most part, but during IDEAS 2016, a Pakistan Army official told Army Recognition that the AK-2 would use a 1,500 hp engine – the AK and AK-1 use the 1,200 hp 6TD-2. This same official also outlined that the AK-2 will have “enhanced protection” for defensibility against emerging and future anti-tank munitions. In parallel with the AK/AK-1, the Pakistan Army was also seeking a complementary MBT from abroad. Designated the “Haider” MBT, prospective options appeared to have included the NORINCO VT4 from China and UkrOboronProm Oplot-M from Ukraine. Ukraine’s Malyshev Plant confirmed that a tender for an alternate tank was underway and that an Oplot unit was being prepared for Pakistan. Moreover, talks were also underway to overhaul and upgrade Pakistan’s existing force of 320 T-80UD MBTs. It is unclear how many alternate MBTs the Pakistan Army is seeking, but in an interview with Delovaya Stolitsa, the Pakistani Ambassador to Ukraine said at least a 100 new MBTs could be procured. It would not be surprising if the Oplot-M is in a strong position based on it serving as a bridge to rebuild Pakistan’s T-80UDs into Oplot-Ms as well. In addition, Pakistan could work with Ukraine to have relatively high parts commonality between the Oplot-M and AK-series, especially through a common engine and potentially 125 mm gun, electronics, explosive reactive armour (ERA), shells and ATGMs. Pakistan has not moved on procuring an 8×8 wheeled armoured fighting vehicle (AFV) in 2017. In 2016, the private Pakistani company Cavalier Group had proposed an original design known as the Hamza 8×8 Multirole Combat Vehicle (MCV). The Hamza 8×8 MCV was unveiled at IDEAS 2016. The Hamza 8×8 MCV was designed under the Cavalier Group Blitzkrieg Defence Solutions brand, which itself is a collaboration between Cavalier Group and Jankel Armouring in the U.K. However, as of October 2017, Cavalier Group appeared to have pivoted from the 8×8 Hamza MCV to a 6×6 Hamza MCV variant. That said, Cavalier Group maintains that it is willing to design a complete family of MCVs including 8×8, 6×6 and 4×4 vehicles. If it achieves orders, Cavalier Group will undertake its manufacturing work at HIT. Currently, it is unclear to what extent Pakistan requires 8×8 AFVs. Granted, paved roads are becoming more commonplace in South Asia, but the balance of the Army’s conventional armour operations will take place in deserts and plains, where, generally, tracked armoured vehicles are preferred if weighing more than 20 tons and operating off-road for more than 60% of the time. With no stated plans for next-generation infantry fighting vehicle (IFV) platforms, it appears that the Pakistan Army is largely content with the M113-based Talha APC. There may be more activity on the 4×4 AFV front. These vehicles would provide a mainstay solution for the Army’s troop carrying and infantry-fighting needs in COIN. In conventional operations, these vehicles can provide logistics support and double as specialist vehicles for carrying sensors and other electronics in support of MBT and APC mechanized formations. Moreover, a 4×4 AFV can also be deployed with the country’s law-enforcement agencies (LEA), paramilitary units and specialist security forces (e.g. Airport Security Force) for internal security requirements. The 2015-2016 MoDP report stated that the Military Vehicles Research and Development Establishment (MVRDE) was tasked to develop a vehicle designated ‘Light Armed Vehicle Assault’ (LAVA). Supporting the notion that the LAVA is a 4×4 vehicle program was the partnership formed by the Pakistani company Metal Engineering Works and Spain’s UROVESA to jointly market and produce the latter’s VAMTAC 4×4 platform to Pakistan. It is not known if MVRDE will adopt and modify an off-the-shelf design (of which many are available in South Africa, Turkey, Europe and China), or seek to design an original platform. In 2016, the Pakistan Army solicited proposals for 155 mm/52-caliber wheeled self-propelled howitzers (SPH). South Africa’s Denel Land Systems and Serbia’s Yugoimport-SDPR brought the T5-52 and NORA B-52 to Pakistan for trials, respectively. Evidently, Pakistan did not make a selection, but the program does not appear to have been shelved. In September, the Deputy General Manager of the Turkish artillery and small arms manufacturer Makina ve Kimya Endüstrisi Kurumu (MKEK) Dr. Akif Akgül had told MSI Turkish Defence Review that MKEK’s Yavuz 155/52-caliber SPH had drawn interest from Pakistan, stating: “Right now, Saudi Arabia and Pakistan are highly interested in this weapon system; we’re continuing to hold talks with them in this regard. Through official channels, they expressed their wish to see its firing tests.” In 2016, IHS Jane’s forecasted that Pakistan could spend $844 million U.S. on SPH by 2024. Fundamentally, a wheeled SPH is essentially the pairing of a towed howitzer gun to a 6×6 or 8×8 truck. This format enables for rapid deployment, whilst acquisition cost is relatively less compared to a tracked howitzer (i.e. a more integrated system involving the gun, chassis and armoured turret). In the MoDP’s 2015-2016 yearbook, Pakistan also committed itself to developing and producing a guided multiple launch rocket system (MLRS), including an extend-range MLRS. It appears that the guided MLRS program is regarding 122 mm rockets. Pakistan Ordnance Factories (POF) manufactures the 122-mm high-explosive (HE) Yarmuk rocket for Pakistan’s existing MLRS systems. The Yarmuk has a range of 20 km. If one takes the Roketsan TRG-122 of what Pakistan is seeking to emulate (not necessarily acquire), then the extended-range guided MLRS could have a range of at least 40 km. The TRG-122 is guided by a GPS-assisted inertial navigation system (INS). No timeline was given as to when Pakistan will mass-produce or induct the guided MLRS. 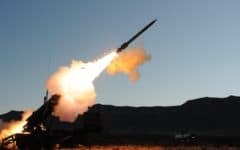 The guided MLRS could be an interesting push if done in concert with new SPH procurement as it would signal an intent to build a connected artillery force. Pakistan operates the SLC-2 counter-battery radars along with its A100E 300 mm MLRS. It is unclear if the SLC-2 has been widely adopted for all artillery units, there have been no induction records found in recent MoDP reports. Counter-battery/weapon-locating radars along with new equipment for forward-observers and digital fire control systems (FCS) could be on the procurement roadmap along with new SPH and guided MLRS. Among the areas that Pakistan has yet to signal activity in is that of lightweight howitzer guns. Considering how significantly mountainous and poorly-accessible areas factor into Pakistan’s conventional as well as counterinsurgency (COIN) combat environments, it would be surprising if this issue is not raised in 2018. There are several options on the market that could provide substantive improvements to Pakistan’s light artillery capabilities. These include the NORINCO AH4, a 155mm/39-caliber towed howitzer with a weight of 4,500 kg. South Africa’s Denel Land Systems has the G7, a 105-mm howitzer weighing 3,900 kg (which is reduceable to under 3,000 kg) which Denel claims has the range and terminal velocity of a 155-mm gun. Turkey’s Aselsan is developing the Boran, a 105-mm/30-caliber design weighing 1,710 kg. Being lighter in weight, these howitzers can be deployed to inaccessible areas using helicopters and, potentially, be paired to 4×4 vehicles to serve as rapidly moving firing units. In March, the Pakistan Army formally inducted the LY-80 (HQ-16) medium-range surface-to-air missile (SAM) system. The HQ-16 uses a semi-active radar-homing (SARH) missile with a range of 40 km. Each HQ-16 battery uses a single IBIS-150 3D S-band target search radar with a range of 150 and multiple L-band passive electronically-scanned array (PESA) target tracking radars. Pakistan began its HQ-16 orders in 2013 or 2014 with $225.77 million U.S. and $40 million U.S. orders for three HQ-16 batteries and eight IBIS-150 radars, respectively. In 2014-2015, it made a subsequent $373.23 million U.S. order for six HQ-16 batteries. The HQ-16 will complement the FM-90 command line-of-sight short-range air defence system (SHORAD), thus providing the Pakistan Army with a low-to-medium-range air defence system (LoMADS). In 2016, there had been talk of the Pakistan Army potentially adding a mobile LoMADS system, ostensibly to complement the LY-80 and FM-90 which were already in the order pipeline at that stage. One source who had attended IDEAS 2016 attested to this issue – Nathan Gain from Forces Operations Blog. 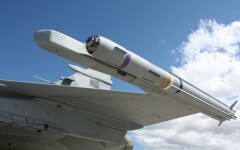 Gain had spoken to representatives from MBDA, who said that they were marketing the Spada 2000, which it supplied to the PAF, to the Pakistan Army for a mobile SAM requirement. It is unclear if Pakistan moved on this issue, but even with the HQ-16 and FM-90 in place, Pakistan is lacking in certain aspects of its low-level air defence coverage. First, the LY-80 and FM-90 depend on their respective sensors to guide their SAMs to the target. In the case of the LY-80, activating these sensors leaves them exposed to an enemy’s suppression-of-enemy-air defence (SEAD) or destruction-of-enemy air defence (DEAD) assets, be it anti-radiation missiles (ARM) or electronic intelligence/signals intelligence (ELINT/SIGINT) sensors. Moreover, the LY-80 involves several separate pieces for deployment – i.e. the missile firing unit, surveillance radar, tracking radar, etc. It cannot readily move with shifting armoured and infantry deployments. Pakistan can potentially address these issues by securing a cohesive one or two-unit SAM system that uses missiles with terminal-stage active-homing seekers. In other words, emulate the Israeli SPYDER, which is comprised of a firing-unit vehicle armed with Python-5 and Derby air-to-air missiles (AAM) repurposed as short and medium-range SAM, respectively, and supported by a second radar (i.e. sensor) vehicle. In fact, Turkey’s Aselsan has developed an analogous solution using the Roketsan HİSAR-A (15 km) and HİSAR-O (25 km) SAM systems and Aselsan’s 70 km active electronically-scanned array (AESA) Mobile Search Radar (MSR). The HİSAR-A/O both use imaging infrared (IIR) seekers in the terminal stage. Not including the resupply vehicle, this LoMADS system would comprise of two vehicles – i.e. one firing-unit and one radar and command-control (C2) vehicle – that could readily accompany an armoured formation, providing low-level air defence coverage in concert. If the radar cannot be used, the end-user could attempt relying on the SAM’s terminal-stage IIR seekers. Besides Turkey, comparable solutions also exist in South Africa via the Denel Dynamics Umkhonto IR (20 km) and forthcoming Umkhonto EIR (30-35 km). In 2016, the Pakistan Army issued requests-for-information (RFI) to 10 OEMs for new assault rifles. 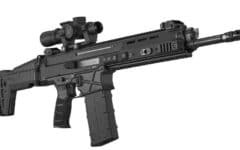 During IDEAS 2016, the Turkish company MKEK’s Head of Marketing, Hasan Sahan, confirmed that the RFI was connected to a potential bid for up to a million new assault rifles. At IDEAS, POF signed a letter-of-understanding (LOU) with the Czech firearms firm Česká zbrojovka (CZ) to negotiate the complete transfer-of-technology of small arms technology to POF. In April 2017, a CZ official had confirmed the LOU, stating: “Recently we have [CZ] signed a letter-of-understanding with POF, and we are ready to transfer, the full transfer (sic) of modern technology from CZ to Pakistan, to POF, so we can produce the most modern and most advanced assault rifles in the world at POF.” CZ had sent its CZ-807 modular assault rifle to Pakistan for trials. The CZ-807 can be chambered in 7.62×39 mm and 5.56×45 mm. It does not appear that movement has been made, but POF did discuss the matter with the Polish Armaments Group (PGZ) in November 2017. PGZ stated that the “main topic of talks” between itself and POF’s leadership -i.e. its Chairman, Lt. Gen. Umar Farooq Durrani – was the “potential of the purchase and transfer of technology related to the production of small arms and ammunition.” The program appears to be alive, but like the SPH, it does not appear that the Army is going to decide and conclude a deal in the near-term. Besides small-arms, the Pakistan Army has been executing improvements to its infantry on a gradual basis. From changing the fatigues to a pixelated pattern, mandating a new fitness regimen under the Physical Agility and Combat Efficiency System (PACES) to imparting training for combat in built-up environments (via the National Counter Terrorism Centre), steps have been taken to improve the qualities of individual soldiers. In this respect, continual procurement of new body armour and infantry support systems, such as reflexive sights and thermal and/or night-vision sights for assault rifles, could spur opportunities. For example, the Pakistan Army has yet to clearly adopt a scalable plate carrier (SPC) vest for its infantry. On the other hand, it does not appear that the Pakistani industry is offering locally-made reflexive red-dot sights for assault rifles. The Pakistani industry, especially the private sector, have an opportunity to build domestic market-share by bringing modern equipment and ideas to the Pakistan Army, enabling the Army to benefit from local production costs and currency dynamics to qualitatively improve its infantry. In 2016 and 2017 the Pakistan Navy has finalized agreements for big-ticket items for its surface and sub-surface fleets. The Navy’s programs have generally been staged for long-term induction. For example, its Hangor (II) submarine program is scheduled for completion in 2028, i.e. 12 years since finalizing the deal. This 18-month cadence between ships might be replicated across the Navy’s new Chinese frigate as well as Turkish and U.S. corvette purchases. Timing its procurement in this manner would enable Pakistan to spread its payments, perhaps even undertake its purchases on a layaway basis wherein contracts are only issued when the required cash is on hand. This way, Pakistan can reduce its need to use loans. In 2016, it concluded the purchase of eight unspecified – potentially the China Shipbuilding Industry Corporation (CSIC) S26 – air-independent propulsion (AIP)-powered submarines (SSP). These are due to be delivered in two tranches. The first, imported straight from China, by 2023. The second tranche, to be built at Karachi Shipyard & Engineering Works (KSEW), by 2028. KSEW plans to cut the steel for its lead SSP on 26 October 2020. KSEW will manufacture the submarines through a transfer-of-technology (ToT) agreement, which includes an upgrade of KSEW’s facilities and training for KSEW personnel. It is unclear to what extent Pakistan will source materials for the Hangor SSPs domestically, the MoDP report says that KSEW will use technical documentation, material kits and assistance from China. The eight Hangor SSPs will augment the Navy’s existing fleet of three Agosta 90B SSPs. Pakistan made its firm order for the three ships in 1994, with the first – PNS Khalid – being delivered in 1999. These Agosta 90Bs are powered by the MESMA (Module d’Energie Sous-Marin Autonome) AIP system, which provides power through the combustion of ethanol and oxygen. In June 2016, Pakistan signed a deal with Turkey’s Savunma Teknolojileri Mühendislik A.Ş. (STM) to design and execute a mid-life-update for the Agosta 90Bs at KSEW. According to then Turkish Minister of Defence Fikri Işık, the upgrade deal was valued at $350 million U.S. STM and KSEW will deliver the first upgraded Agosta 90B to the Pakistan Navy within 45 months of the contract signing (i.e. 2019-2020), the remaining two will be delivered within 12 months of the preceding submarine. STM began issuing contracts to subsystem providers in October 2016, with Hensoldt Optronics South Africa (formerly Airbus Defence & Space Optronics) being selected to supply the SERO 250 periscope and OMS 200 optronic mast. In November 2016, Aselsan was selected to provide its ARES-2SC electronic support measures (ESM) system. The ARES-2SC ESM will allow the Agosta 90B to double as an electronic intelligence (ELINT) system at sea by tracking enemy radar emissions. In December 2016, STM signed an agreement with Havelsan for a combat management system (CMS). This was later revealed as Havelsan’s Sonar Integrated Submarine Command Control (SEDA) suite. The SEDA suite can provide situational awareness based on sensor fusion using the submarine’s sonar, radar and ESM. Havelsan is aiming to integrate the SEDA to the host submarine’s torpedo fire control system. In February 2017, STM selected the U.K. company Kelvin Hughes’ SharpEye I-band pulse-Doppler radar. In November 2017, STM and Pakistan issued a follow-on order from Kelvin Hughes for another SharpEye radar, which Kelvin Hughes states is for the second submarine – i.e. PNS Saad. In effect, the Havelsan SEDA will be integrated with HOSA’s OMS-200, Kelvin Hughes SharpEye radar and Aselsan ARES-2SC, from which the visual or electro-optical, radar and ESM feeds, respectively, will be displayed on the CMS, providing the crew with a robust situational awareness or picture of the combat environment. STM and Pakistan did not yet issue a sonar contract, though Pakistan might prefer using the domestically produced Maritime Systems Ltd.’s (MSL) Towed Array Sonar (TAS). The SEDA could theoretically be connected to the MSL TAS. In its 2015-2016 Yearbook, the MoDP listed the “design and construction” of one miniature diesel-electric submarine (SSK) as an objective. Specific details surrounding this program are unknown, however, this seems to be an effort to produce a successor for Pakistan’s Cosmos MG110 (SX756/W) mini-SSKs. During IDEAS 2016, STM said it was negotiating with the Pakistan Navy to jointly develop a new mini-SSK design, stating: “We are in talks with the Pakistan Navy about this [mini-SSK]. If this project materialises, it will be a different and strategic cooperation both for Pakistan and Turkey.” However, neither STM or the Navy have confirmed if the mini-SSK is proceeding, much less if a specific design has been chosen. It should be noted that CSIC also revealed a mini-SSK design in the MS200, a 200-ton design with two torpedo tubes. Besides supporting asymmetrical operations, such as laying mines or deploying frogmen, the MS200 can also support Pakistan’s littoral anti-access and area-denial (A2/AD) strategy by serving as a genuine anti-ship warfare (AShW) and anti-submarine warfare (ASW) threat with its torpedo tubes. 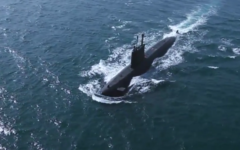 Absent of nuclear-powered submarines (SSN) or nuclear-powered ballistic missile submarines (SSBN), the Pakistan Navy’s submarine procurement roadmap is comprehensive. With the Hangor SSP, the question is of determining its design (e.g. single-hull or double-hull), subsystem selection and its AIP type. If one takes a conservative reading, the Hangor SSP would essentially be the CSIC S26 – i.e. the S20 with a Stirling AIP system – as-is from CSIC. However, CSIC has showcased China’s submarine design advancements in 2017, most notably with three new single-hull SSP designs, such as the S1100. 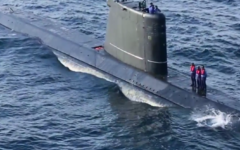 Single-hull designs could provide Pakistan with lower long-term operating costs, which would be key as Pakistan is slotted to operate a relatively large fleet of these submarines. However, Pakistan need not select single-hull designs. It should also be noted that double-hull submarines, albeit from China which has an industry base experienced with constructing them efficiently, could come at a lower upfront cost. They may also be less risky for the time being considering CSIC’s single-hull designs are the first of China’s modern single-hull designs. The second question is that of AIP. The Stirling AIP, like double-hull submarine designs, is a proven and efficiently built product in China. However, Stirling is not the optimal AIP solution for Pakistan’s combat environment – i.e. the Arabian Sea. Acoustics – which are vibrations – travel faster in warm water. Stirling AIP systems use moving components, which in turn create vibration – i.e. raising the submarine’s acoustic detectability. The value of the submarine rests in its stealth and lack-of-detectability, and for a long-term (and fiscally high-cost) asset of the Navy to have such an issue would be concerning. However, China had reportedly developed fuel-cell AIP engines of 100 kW. Fuel-cell AIP systems involve fewer moving parts, thus enabling for a lower acoustic signature. However, there may be a trade-off in speed, which for SSPs – i.e. which are primarily meant to be silent and serve as conventional deterrents to enemy surface ships – may not be an issue. Alternatively, the S26’s double-hull design could be looked at as a means to lower the impact of the Stirling AIP engine’s vibrations (via the second hull). The issue of the Hangor SSP’s subsystems has to do with achieving commonality with the Agosta 90B. By maintaining one suite of sensors and internal subsystems across its entire fleet, the Pakistan Navy could potentially reduce its operating costs and simplify its training regimen. This could be doable with the second Hangor SSP tranche as those ships are to be built at KSEW. However, with the first tranche there might be an option to ship the submarines to Pakistan for fitting the subsystems at KSEW. This would be unprecedented for Chinese submarines, but not for Chinese naval solutions as a whole – CSIC did send the C28A corvette to Algeria without its electronic subsystems. The Thales SMART-S radar and command, control and communication (C3) suite were integrated to the C28A in Algeria. In 2017, the Pakistan Navy commissioned its third Azmat-class missile-equipped fast attack craft (FAC-M), the PNS Himmat. Belonging to an order for four FAC-M made in 2010, the PNS Himmat differs from its preceding sister-ships – the PNS Azmat and PNS Dehshat – by possessing a 2×3 anti-ship missile (AShM)-cell configuration instead of the 2×4 AShM-cell in the FAC-Ms before it. KSEW stated that the PNS Himmat is equipped with an “indigenously built missile system.” The PN did not provide additional details, but a 2×3 AShM-cell configuration suggests a larger AShM. Possibilities include the “Zarb” AShM, a shore-based AShM the Pakistan Navy had tested in April 2016, or an undesignated “long-range” AShM tested in March 2017. Whatever the case might be, it should be noted that the MoDP’s 2014-2015 Yearbook listed the development of a “ship-borne system” that could deploy a land-attack cruise missile (LACM) and AShM. In June 2017, the Pakistan Navy placed an order for two 1,900-ton offshore patrol vessels (OPV) from the Netherlands-based Damen Shipyards. One of the two OPVs will be built at KSEW. Although the Navy did not specify the OPV model it was procuring, the MoDP stated that the OPV would have a length of 90 m, displacement of 1,900-tons and top speed of 22 knots. The OPVs would be deployed in various roles, such as maritime security operations, combat search and rescue, surveillance and intelligence gathering. The specifications appear to point to the Damen OPV 1800, which is the closest design on Damen’s catalogue to match the Navy’s OPV selection. The Damen OPV 1800 has a displacement of 1,890 tons and top speed of 22 knots, though its length is slightly shorter at 83 m. Malaysia ordered three such OPVs for a total of $167 million U.S. – i.e. $55.67 million U.S. each. In October 2017, the previous Chief of Naval Staff (CNS) Admiral Muhammad Zakaullah announced in his farewell speech that Pakistan placed an order for Chinese frigates. He did not disclose the specific model, but in December a Pakistan Navy officer reportedly told Shanghai TV that Pakistan will procure the Type 054A. Besides this, specifics cannot be independently verified or attributed to a named official, be it in the Pakistan Navy or the industry. The issue of specifications and capabilities is currently speculative. In 2016, the Pakistan Navy expressed interest in procuring four MILGEM Ada corvettes from Turkey. The Navy had intended to procure these corvettes earlier, but a paucity of funds from 2009 to 2013 resulted in shelving the program. However, in its request for the MILGEM in 2016, the Turkish government agreed to extend a line-of-credit of $400 million U.S. to help support the deal. The Turkish Undersecretary for Defence Industries (SSM) Dr. İsmail Demir confirmed this was the first instance of Turkey extending a loan for defence exports. In November 2017, Pakistan’s MoDP confirmed that negotiations for the MILGEM progressed to the finalization stage, with Pakistan examining financing options. If inked, two of the ships could be built at KSEW (with the other built in Turkey). Although there are numerous MILGEM variants, STM – the principal contractor of the MILGEM – stated that Pakistan has been negotiating for the Ada (i.e. the ASW-optimized corvette). In an interview with Anadolu Agency, STM’s CEO Davut Yilmaz stated that the total value of the Pakistan MILGEM deal is $1 billion U.S. In terms of corvettes, the Louisiana-based shipbuilder Swiftships announced that Pakistan was interested in procuring two of the company’s 75 m Swift Corvettes along with an option for an additional two ships. The prospective sale was revealed by Swiftships’ CEO, Shehraze Shah, in August 2017 in an interview with Marine News. Shah had stated: “Swiftships has partnered with Lockheed Martin to offer these 1,500 to 2,000-ton ships to the client,” further adding, “These vessels will provide cutting-edge capabilities to Pakistan during their Combined Task Force 150/151 mission in the Horn of Africa.” It is unclear if a deal has been closed nor has a specific timeline been provided regarding construction and delivery. Moreover, no details – besides the inclusion of a combat management system from Lockheed Martin – were provided as to how the Swift Corvettes will be configured. However, based on Shah’s statement regarding the prospective Pakistani ship’s displacement (i.e. 1,500 to 2,000 tons), these ships will possess all-welded steel superstructures. This is contrast to the MILGEM, which possess a superstructure built from costlier composite materials, which also lend to a lower radar cross-section (RCS). It is likely that the Swift Corvette per ship unit cost is in the vicinity of the Damen OPV 1800 (under $100 million U.S. per ship). Moreover, while the Swift Corvette can be configured for ASW, Marine News states that the model is suited for “anti-surface and anti-air operations, maritime security, day-and-night helicopter activities, combat search and rescue, and surveillance and intelligence gathering.” Interestingly, this is the same description of roles the Pakistan Navy provided for the Damen OPVs, suggesting that the Swift Corvette will be deployed for the same roles as the Damen OPV. In December 2017, Defense News – quoting a Pakistan Navy spokesperson – reported that Pakistan placed an order for one Type 054A in June 2017 with the same specifications of Type 054A frigates used by the People’s Liberation Army Navy (PLAN). 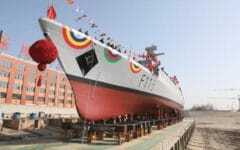 Defense News added that Pakistan is considering an order for two additional Type 054As. The Type 054A has a displacement of 4,000 tons and length of 134 m. Its weapon suite includes 2×4-cells for AShM, 2×3 lightweight ASW torpedo tubes, one 76-mm main gun and 32-cell vertical launch system (VLS) for the HHQ-16 medium-range SAM (40 km range). In terms of sensors, the Type 054A is equipped with a H/LJQ-382 3D E-band search radar (which is said to be a copy of Russia’s Fregat-M2EM ‘Top Plate’ radar) and H/LJQ-366 fire-control radar (an apparent copy of the Russian Mineral ME ‘Bandstand’ radar). The H/LJQ-382 (‘Top Plate’) has a detect range of 230 km for aircraft and 50 km for sea-skimming missiles. The range of the H/LJQ-366 could not be verified, but it is said to be an over-the-horizon target acquisition and fire-control radar for guiding AShM. 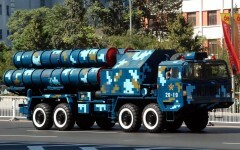 However, like the Type 039A Yuan, J-10B and other mainstay weapon systems in the People’s Liberation Army (PLA), the PLAN’s Type 054A configuration is not formally marketed for export. Rather, CSIC’s export portfolio includes 4,000-ton frigates based on the Type 054A, but with improvements. These include what CSIC describes as “a renewed superstructure”, 24-cell point-defence missile system (PDMS) and – arguably its marquee improvement – a sensor suite comprising of an over-the-horizon radar (OTHR) paired with an active phased-array radar (APAR) based on the China Educational Instrument and Equipment Corp (CEIEC) SLR-66. The SLR-66’s APAR has a range of 280 km while its OTHR has a range of 500 km. The OTHR can serve as a passive surface and air surveillance system, providing the frigate and connected friendly ships with stand-off range situational awareness. The APAR would identify and track targets while also serving as a guidance radar for medium and long-range SAM systems. The APAR can also guide long-range AShM. Besides the disadvantage of cost, the export-oriented 4,000-ton frigate would be a superior platform than the PLAN’s Type 054A. It would provide the Pakistan Navy with a robust multi-mission platform that can double as a command-ship for the F-22P, Damen OPV and, if finalized, the MILGEM and Swift Corvettes. 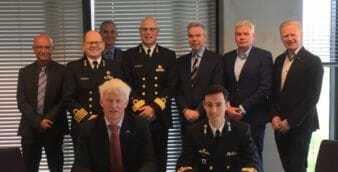 Specifics regarding the configuration, subsystems and weapon systems of the Damen OPV, Swift Corvettes and MILGEM Ada corvettes have not yet been provided. 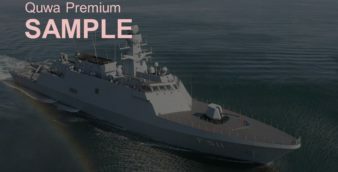 Given the similarity in stated roles between the Damen OPV and Swift Corvettes, these two platforms may be configured in the same or similar manner. Potential industry opportunities could include main guns (e.g. 76-mm), 20 mm or 30 mm close-in-weapon-systems (CIWS), and/or remote weapon stations (RWS). In terms of sensors, Pakistan could plausibly seek a short-range surface and air surveillance radar for the Damen OPVs and Swift Corvettes. The MILGEM Ada was designed for anti-submarine warfare (ASW). In this respect, Pakistan could require a towed-array sonar (TAS), lightweight torpedo (LWT) platform and, potentially, variable depth sonar (VDS). Pakistan’s MSL might aim for the TAS contract. The Turkish industry is likely to push to secure contracts in any Pakistani MILGEM program, especially since Ankara is extending a line-of-credit for the deal – Turkey is in a position of leverage. However, others – such as Leonardo and Thales – can also push for fitting Pakistan’s MILGEMs with sensor and weapon suites. Other potential systems of note can include a 76-mm main gun, AShM, PDMS or CIWS, air and surface surveillance radar, fire control radar, a combat management system, electronic support measures (ESM) system and supporting helicopter. It is theoretically possible to alter the MILGEM Ada design into a longer ship with sufficient room for VLS, which can be used for a medium-range SAM system. STM has two such designs, the LF-2400 and CF3500. The LF-2400 is a 2,350-ton frigate (i.e. only 50 tons more in displacement to the Ada) with a hull that is 9-10 m longer (i.e. 109 m vs. 99.5 m of the Ada). The LF-2400 has a 12-cell VLS positioned aft of the exhaust stack. The CF3500 bears a strong resemblance to the MILGEM Ada, but it is a markedly bigger ship with a displacement of 3,440 tons, length of 115.2 m and 12-cell VLS in the bow. However, there are no official indications or verified statements suggesting that Pakistan is considering this route with the MILGEM. Pakistan has yet to officially call for an upgrade for its F-22P frigates. In contrast to the Type 054A and the MILGEM, the F-22P is largely equipped with antiquated electronics, such as mechanically-steered radars for air and surface surveillance. There is an opportunity for the industry to push for an upgrade path that achieves commonality with the MILGEM in terms of sensors, combat management system, ESM, AShW, ASW and PDMS/CIWS. The F-22P may potentially have space for a VLS as well (in the area occupied by the FM-90), which could be used to fit a cost-effective system such as the Umkhonto IR (20km). In May 2017 the Pakistan Navy acquired seven ex-Royal Navy Sea King helicopters. Of these, three – i.e. two HC.4 and one HAR.3A – were recovered while two (an HC.4 and an HAR.3A) were stripped for spare parts. The remaining two would be delivered to Pakistan as-is, though it is unknown if these will be revived or also stripped for spare parts. The HC.4 was designed for troop deployment, being capable of ferrying 28 fully equipped soldiers. This could be an indication of the Navy opting to build the mobilization capacity of the Marines and the Special Service Group Navy (SSG-N). The HAR.3A is a SAR variant. In 2015, Pakistan also issued a contract to the German company Rheinland Air Service (RAS) to modify two ATR-72 airliners into ASW-capable maritime patrol aircraft (MPA). These were slotted for delivery in 2017. Besides fitting the ATR-72s with the capability to deploy LWT for ASW, Pakistan is also getting the ATR-72s fitted with the Leonardo Seaspray-7300 X-band active electronically-scanned array (AESA) radar. Pakistan has a third ATR-72, which it received in August 2016. It is unclear if this will be sent for ASW-MPA conversion. With the Pakistan Navy ordering new frigates, corvettes and OPVs – potentially amounting to a total of 12-14 vessels – there may be a requirement for additional helicopters. The Navy’s Alouette III SAR and lightweight utility helicopters could also be nearing a point where a replacement is necessary. Plausibly, Pakistan might opt to order additional Z-9EC and AW139 in the ASW and SAR/utility roles, respectively, thus utilizing existing logistics infrastructure. Like the Puma in the Pakistan Army, the Navy has not yet defined a need for replacing the Sea King with a new analogous platform, such as the AW101. In January 2017 the Pakistan Navy test-fired the Babur 3 submarine-launch cruise missile (SLCM) with a stated range of 450 km. In March 2017, the Navy tested a shore-based “long-range” anti-ship missile (AShM). In his farewell speech, the previous CNS Adm. Muhammad Zakaullah had revealed that the Navy also possessed a surface-to-surface missile (SSM) designated “Harba.” It is not known if the new shore-based AShM is the Harba SSM. Overall, details regarding the Navy’s AShM (besides the C-802, Exocet and Harpoon) are largely unclear and can only be left to speculation. The Azmat-class FAC-M PNS Himmat possesses a 2×3 AShM configuration instead of the PNS Azmat (as well as F-22P’s) 2×4 AShM system. The latter is meant for the C-802, while the 2×3 seems to point to a heavier/larger AShM. Analysts have speculated that the 2×3 could point towards the use of the C-602, an AShM model that has a range of 280 km and a 300-kg warhead, enabling for a longer-range and heavier strike upon fixed and moving surface targets. In effect, it would provide the Azmat FAC with a stand-off range attack capability, though its absence of suitable sensors would require it to see a feed from an off-board sensor – e.g. the Karakoram Eagle airborne early warning and control (AEW&C) platform. Another scenario could be an AShM-variant of the Babur land-attack cruise missile (LACM), which would provide a range of 700 km. In this case, the Babur LACM would require a terminal-stage active-homing seeker, be it active radar-homing (ARH) or imaging infrared (IIR). The Pakistan Air Force (PAF) has not committed to any new orders (notwithstanding AW139 helicopters for search-and-rescue missions). However, programs finalized in previous years – such as the JF-17 Block-II and Saab 2000 Erieye airborne early warning and control (AEW&C) fleet rebuild – have come to fruition in 2017. Moreover, the PAF has cemented its roadmap for its future air combat requirements by forming Kamra Aviation City – i.e. with an Air University Islamabad campus in Kamra along with the Aviation Design Institute (AvDI) at Pakistan Aeronautical Complex (PAC). 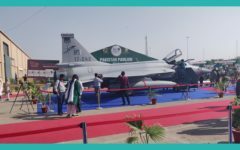 In contrast to the Army and Navy, the PAF seems to have firmly pivoted its approach for high-end defence equipment by relying on the domestic industry, as opposed to seeking it from abroad. This is not to say that the PAF will detach itself from foreign support, but the objective is to have PAC provide a fifth-generation fighter (FGF) solution. In February 2017, the PAF formally converted its fifth combat aircraft squadron to the JF-17 Thunder – i.e. the No. 14 stationed at Minhas Air Base in Kamra. In March 2017, the PAF announced that it successfully integrated the Range Extension Kit (REK) SOW, a gliding precision-guided bomb (PGB) kit for MK-80-series general purpose bombs (GPB). The REK has a range of 50-60 km and accuracy of within 20 CEP (circular error probe). Pakistan also has Aselsan ASELPOD targeting pods on order from Turkey, with the MoDP report listing an order for eight pods for $24.96 million U.S. As of December 2017, PAC had rolled out a total of 100 JF-17 Block-I and Block-II for the PAF. For 2018, the PAF opted to procure another 12 JF-17 Block-II to keep PAC’s production line warm ahead of the JF-17 Block-III. The PAF is aiming to have the JF-17 Block-III, the first major upgrade of the Thunder, to enter serial production at PAC in 2019 or 2020. Currently, the Block-III is slated to utilize an active electronically-scanned array (AESA) radar, helmet-mounted display and sight (HMD/S) system, new integrated electronic warfare (EW) suite and a glass cockpit with a new single-panel multi-function display (MFD). 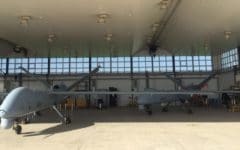 The hybrid flight control system in the Block-I and Block-II, which use hydraulic controls for bank and yaw, but electronic for pitch, will also be replaced by a three-axis digital fly-by-wire (FBW) system. 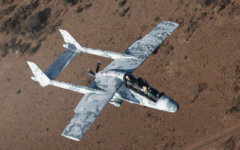 It is also expected to use a high off-boresight air-to-air missile (HOBS AAM), potentially the Denel Dynamics A-Darter. By pairing a HMD/S to a HOBS AAM, the pilot will be able to cue and lock a target using his/her HMD/S (i.e. by turning their head). Following that, he/she can fire the HOBS AAM. Using thrust-vectoring nozzles, a HOBS AAM is capable of tight/high-g maneuvering, enabling it to fully feed of a HMD/S’ cueing. Under its original framework of 150 fighters, the PAF is expected to procure 50 JF-17 Block-III. There have been news reports and statements by PAF officials in the past suggesting the total number of JF-17s the PAF could procure will increase. The PAF has yet to signal such an intent, though it is plausible considering that such procurement would be relatively low-cost as it would utilize an existing logistics infrastructure base (i.e. training, maintenance, ground support equipment, etc). With the PAF’s F-7PGs not included for replacement by the JF-17 Block-I/II/III, one could argue that a hypothetical JF-17 Block-IV would make for a more-than-adequate and aptly affordable successor to the F-7PG post-2020. Overall, the PAF considers the JF-17 its mainstay multi-role platform for denying enemies use of Pakistan’s airspace and territory. It is upon this foundation that the PAF intends to acquire another fighter – i.e. with more range and payload – for specialized roles, such as deep-strike and maritime operations. Besides the JF-17 Block-III, it appears that the twin-seat trainer version of the JF-17, the JF-17B, is also a factor in the PAF’s current procurement plans. The JF-17B flew in April 2017. In its press release, the PAF stated that the JF-17B would “further enhance advanced combat training of PAF fighter pilots.” Three JF-17B prototypes were slotted for production, two of which will be sent to Pakistan. Theoretically, the JF-17B could make for a natural successor to the No. 18 Squadron’s two-seat FT-7Ps, which were used as operational conversion unit (OCU) aircraft for the PAF’s F-7P fleet. However, as of 2017 the F-7P fleet has largely been replaced – except for the No. 18 Squadron – by the JF-17. Currently, the JF-17 is complemented by the Lockheed Martin F-16C/D Block-52+, the F-16A/B Block-15 Mid-Life Update (MLU) and the F-16A/B Block-15ADF (Air Defence Fighter). In 2016, the PAF had sought to acquire eight new-built Block-52+ from the U.S., but with the use of Foreign Military Financing (FMF) to reduce the total acquisition cost by up to $430 million U.S. (of a $700 m U.S. contract). The then Obama administration had agreed to the sale on those terms, but the FMF component was blocked by Congress. Although the U.S. did not block the sale of F-16s to Pakistan, the PAF has reserved most of the Pakistani national funds available to it for non-American procurement. However, Air Chief Marshal (ACM) Sohail Aman stated that if a favourable opportunity presented itself, the PAF would not be averse to procuring additional F-16s. However, in response to a question during a seminar at the United States Institute of Peace, Pakistan’s Foreign Minister (and previously, Defence Minister) Khawaja Asif claimed that the U.S. had blocked the sale of used Jordanian F-16s by the PAF. This suggests that there may be a block on at least third-party F-16s (i.e. those available outside of the U.S.) It is also curious that the PAF has not acquired surplus Block-25 or Block-32 F-16s from the U.S. (unlike Indonesia). Thus, there could be a supply-side block. That said, with the supply of munitions – especially stand-off weapons (SOW) which would be essential for deep-strike – tied to Washington’s approval, the utility of the F-16s beyond providing strong air-to-air support is suboptimal. The PAF requires a complete strike-capable platform. For the long-run, the offensive edge will be provided through Project Azm’s FGF program. In its own press release, the PAF stated that AvDI was tasked with “phase-wise designing, production and evaluation of fifth-generation aircraft indigenously.” In his speech to AirTech 2017, which was held at Air University Islamabad in December 2017, ACM Aman stated that the FGF is being developed with the support of China and that it would require “five years to initiative the production.” As per the PAF CAS, 60% of the staff assigned to Project Azm are civilians. Additional details, such as the configuration, design or the collaborating Chinese partner (i.e. whether it is PAC’s traditional partner the Chengdu Aircraft Industry Group or the FC-31’s Shenyang Aircraft Corporation) are not known. Generally, a FGF design would comprise of a low-RCS (radar cross-section) airframe for a reduced radar signature, integrated EW suite, AESA radar, HMD/S, an internal weapons bay and, in some cases, super-cruising in that it could achieve supersonic flight without the use of afterburners. 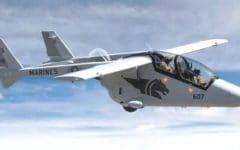 During IDEAS 2016, TAI’s Executive Vice President of its Aircraft Group, then Özcan Ertem, told MSI Turkish Defence Review that TAI was engaged with Pakistani officials on the TFX. In April 2017, the PAF CAS told Bol Narratives “We are integrating our technology with friendly countries, including Turkey. We are thinking of producing the next-generation aircraft by pooling resources with them. For this, the basic framework and agreements have been made,” and “We are also collaborating with Turkey for developing a next generation aircraft.” In May 2017, Alan Warnes, an aviation journalist who has been in contact with the PAF CAS, stated that the TFX, “in near future … likely to figure in PAF’s new generation fighter aircraft requirement.” Overall, the TFX appears to be a factor for consideration, but to what extent or form is currently unclear. 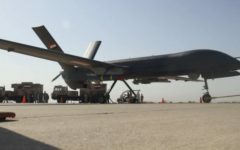 One might speculate that the PAF is interested in the TFX as a potential solution for supplanting its F-16s, the Block-15 MLUs will be reaching 40 years of age through the 2020s. Currently, there are no original equipment manufacturer (OEM)-led efforts for service life-extension plans (SLEP) for the Block-15 on the market beyond the 8,000 hours of guaranteed serviceability. In the Bol Narratives interview, ACM Aman also stated, “However, in future – in the next 10 years down the line – if we don’t induct fifth-generation aircraft, then the disparity will increase,” adding, “Pakistan definitely has to induct new aircraft. We have both Chinese and Russian options.” On the one hand, the CAS is placing a general timeline as to when the PAF would need to induct a FGF – this also aligns with his recent statement about the Project Azm FGF entering production in five years (though it is unknown if he meant serial production or prototype production). On the other hand, it can be construed for suggesting that the PAF requires a nearer-term solution, potentially a FGF that is in its advanced development stages and can be put to service in the 2020s – i.e. the SAC FC-31 Gyrfalcon – or another platform. In 2016, there were reports of the PAF examining the Su-35, however Rosoboronexport stated that it was not in talks with Pakistan regarding the Su-35 in September 2016. There have been no reports in 2017 of Pakistan pursuing a program outside of the JF-17 and the FGF. In 2017, the PAF confirmed that it has revived the two Saab 2000-based Erieye AEW&C aircraft damaged in the Tehreek-e-Taliban (TTP) attack in August 2012. The repair work to the airframe was undertaken at PAC with the support of the OEM Saab at a cost of $25 million U.S. The PAF has three operational Erieye AEW&C aircraft, but in May 2017, ACM Sohail Aman told Alan Warnes that the PAF placed an order for an additional three Erieye AEW&C. This new Erieye order basically returns the PAF to its original force plan – formed before the 2005 Earthquake in Kashmir – for six Erieye AEW&C. The first of these new Erieye was scheduled for delivery in 2017. Interestingly, the MoDP report for 2015-2016 listed the “recovery” of the fourth Erieye AEW&C – this is likely the first of the three new aircraft. Specifics regarding the make or model of the follow-on Erieye were not disclosed, but these will likely be the same Erieye model already in use with the PAF. Adding the new Erieye ER would add to the logistics cost of maintaining the platform. The PAF has not signalled any plans for additional special mission aircraft – e.g. new dedicated EW aircraft, new intelligence, surveillance and reconnaissance (ISR) aircraft, or new in-flight refueling aircraft – nor have there been any external reports indicating plans for such procurement. In March 2017, the PAF awarded Rockwell Collins a contract to integrate the Flight2 integrated avionics suite to the PAF’s 16 C-130B/E Hercules medium-lift transport aircraft. Rockwell Collins stated that the integration work will be completed by the end of 2020. The Flight2 will transition the C-130B/E’s analogue cockpit environments to digital suites with integrated navigation, terrain, traffic and weather situational awareness systems. Flight2 equipment will include new multi-function displays (MFD), navigation system, weather radar, satellite communications (SATCOM) system, terrain awareness and warning system, digital map, digital autopilot and very high-frequency and high-frequency (VHF/HF) radios. The Flight2 will also enable the PAF’s C-130s chart flight routes over difficult terrain and to determine optimal release points for cargo and parachuting personnel. These upgrades indicate that the PAF will continue flying its C-130 aircraft for the foreseeable future – no reports have surfaced of the PAF pursuing another aircraft. Under Project Azm, PAC’s AvDI is also developing a medium-altitude long-endurance (MALE) UAV. The PAF has yet to reveal specifications, but in December 2017, the PAF CAS announced that the UAV will be manufactured in 18 months. 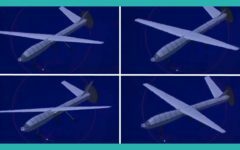 MALE UAVs occupy a wide set of designs, from aircraft with payloads of under 500 kg, such as the Chinese CH-4B and Wing Loong II, to large designs with payloads in-excess of 1,000 kg, such as the Chinese CH-5. The actual design will depend on the PAF’s requirements and its access to development capacity and technology. In other words, a purely indigenous effort is unlikely to be much larger in size or superior in capability than other launch MALE UAV platforms, such as the Turkish Anka or Chinese CH-4B and Wing Loong II. However, a collaborative effort with China could yield greater capability. In January 2017, Pakistan tested the Babur 3 submarine-launched cruise missile (SLCM) and the Ababeel surface-to-surface ballistic missile with multiple independently targetable re-entry vehicles (MIRV). Then in March 2017, the Pakistan Air Force (PAF) revealed the Ra’ad II air-launched cruise missile (ALCM). The Inter Services Public Relations (ISPR) stated that the Babur 3 SLCM had a range of 450 km. Indian media analysts were skeptical of the Babur 3 SLCM, especially the launch procedures described by the ISPR. But the ISPR itself did not state anything that was out of the realm of possibility, even for Pakistan. The ISPR stated that the Babur 3 SLCM was fired from an “underwater, mobile platform.” Simply put, this may have been an underwater pontoon with a horizontal launch system simulating a torpedo launch system aboard a submarine. In 2010, MBDA had conducted such a test for its SCALP Naval SLCM using a horizontal launch system integrated to an underwater pontoon. Seeing that the Navy does not have a readily available submarine platform for launching the Babur 3 SLCM (i.e. the Agosta 90B are undergoing upgrades, while the Hangors are under construction), the Babur 3 SLCM may still be in the developmental stage. Thus, certain aspects – such as range – may be tentative and subject to change by induction. The Ababeel MIRV ballistic missile has a stated range of 2,200 km. Besides stating that the test (i.e. the only one record for 2017) “was aimed at validating various design and technical parameters,” the ISPR did not provide any additional information. Nonetheless, the Ababeel was viewed as an important first-step in shoring-up Pakistan’s ability to operate against a ballistic missile defence (BMD) shield. One natural step would be to see Pakistan extend the range of the Ababeel to that of the Shaheen III (i.e. 2,750 km) – i.e. ensuring that its range covers the entirety of the South Asia theatre. To further stress a BMD, Pakistan might need to examine the area of procuring maneuverable re-entry vehicles (MARV). The PAF’s Ra’ad II is an extended-range variant of the Ra’ad ALCM. With a range of 550 km (vs. 350 km of the Ra’ad), the Ra’ad II is an essential piece of the PAF’s strategic delivery capabilities. One might expect the Mirage ROSE platform to be the main delivery platform for the Ra’ad II (as it is for the Ra’ad). The PAF did not outline whether a newer platform was being sought for the Ra’ad or Ra’ad II, though the Project Azm FGF would be a natural system seeing that its low-RCS attributes would enable the PAF to deploy the Ra’ad, Ra’ad II and other SOW at a closer range to or within India than currently possible. Currently, Pakistan seems to have assigned the Babur and Ra’ad cruise missiles for mainly strategic – i.e. nuclear – use. This is due in great part to cost, which emanate from the use of a miniature turbojet engine, flight control system (to manage speed and provide maneuvering for terrain-hugging) and guidance suite. However, against high-value conventional targets – such as air defence sites, industrial sites, naval surface warships, etc – cruise missiles could be a cost-effective weapon. In this sense, procuring a supersonic-cruising missile such as the CM-302 would be prudent for Pakistan. At sea, the CM-302 could be equipped to the Pakistan Navy’s current and/or future frigates, providing them with difficult-to-neutralize anti-ship warfare (AShW) capabilities can serve as a nullifier (through counter-capability) to the BrahMos. On land, the Air Force can use electronic intelligence (ELINT) assets to identify enemy air defence sites and, from a safe distance, fire CM-302 volleys from JF-17s to stress and potentially neutralize that system. This can be an effective method of threatening India’s S-400 batteries (by targeting the radars and using the CM-302’s high speed to also destroy those radars before they can be moved). The leading risk factor for near-term procurement efforts is Pakistan’s fiscal uncertainty. In general, be it through upfront cash payments or installments for line-of-credit/loan arrangements, Pakistan will opt to stage its procurement funding (for foreign systems) in separate payment tranches. If it can allocate a total of $1.5 billion U.S. per year to procurement, which is what IHS Jane’s had forecasted in 2016 (projecting that Pakistan could spend $12 billion U.S. from 2016 to 2024 on procurement), then installments would let Pakistan commit to multiple programs in parallel. This should be the case provided other fiscal stresses do not come into play. However, of October 2017, Pakistan’s external debt had grown to $83 billion U.S.
That fiscal strain can be dealt using several resources, either separately or in combination: an external source such as aid and/or another loan, increasing the revenue base through taxation and/or profitable state-owned enterprises, or through austerity measures requiring a scaling back in some areas to pay for debt. Like 2008-2013, that austerity element can certainly be had by scaling down or shelving some defence procurement, which may be seen as necessary in order to reduce the need for loans (and ideally, avoid loans altogether). Pakistan’s defence planners will have understood by now that austerity risks are a recurring factor (unless Pakistan’s macroeconomic policymaking makes substantial strides over the long-term), which has lent to increased scrutiny of the country’s defence industry and its ability to churn high-value exports. Pakistan’s public-sector firms – i.e. POF, PAC, KSEW, HIT and others – are in place to help reduce costs, but their function may have to extend to becoming commercially profitable so that they can contribute to the state-exchequer and help guard procurement from austerity cuts and other variances. However, sustaining long-term defence procurement, especially of complex big-ticket items such as the FGF, requires substantive structural changes to the Pakistani state’s revenue collection system. In 2016, the International Monetary Fund (IMF) had estimated that Pakistan’s tax to GDP (gross-domestic product) ratio was approximately 12-13%, while its potential is 22.3%. Pakistan’s state budget for 2017-2018 is $43 billion U.S. However, the budget is still marred by a fiscal deficit of 4.2%, while the budget itself is still servicing ($3.7 billion U.S. for foreign debt and $11.14 billion U.S. for domestic debt) consumes 34.5% – i.e. one-third – of the budget. Besides broad stroke narratives about the potential benefits and harm of the China Economic Pakistan Corridor (CPEC), Pakistan has yet to endure CPEC’s actual impact (positive or negative) for a long-term period. However, in strong contrast to the balance of criticism of CPEC – which has been levelled on the $15+ billion U.S. allocated in debt for infrastructure development – one must also heed to the energy investment. On its surface, the $35+ billion U.S. energy portfolio being managed by the private sector (which will use loans from China’s Development Bank and China Exim Bank) frees Pakistan from the upfront cost of building infrastructure, it will be the private sector that will benefit from the perpetual proceeds. In a market of 200 million people, energy demand is likely to be a strong revenue generator. The proceeds of energy use will not directly be available to the state-exchequer. Furthermore, if some of the IPP owners are based abroad, the capital from IPP profit may leave Pakistan, risking a hard-currency outflow. Pakistan may need to consider taxing the IPPs as a means to accrue some of the energy revenue, though there is the risk of the IPP passing the cost of taxes to the consumer. Taxing capital outflows will dissuade FDI, which the government is unlikely to consciously risk. In general, Pakistan’s expenses and debt are rising, while the state’s exchequer’s sources of revenue are increasingly unclear. Unfortunately, it appears as though Pakistani governments are caught-up in wishing to achieve feats that are generally perceived to be good, such as FDI (and they may be good, but nuance is always required to ensure that one’s macroeconomic goals are met) and foreign-currency gains. But it rarely provides a clearly articulated economic plan with complementary objectives, e.g. unrestricted FDI is not always aligned with foreign-currency gains, it can result in foreign-currency outflow. Returning to the armed forces, the domestic defence industry will play a critical role in compensating for the state’s fiscal uncertainties. Since the 1970s, the Army, Navy and Air Force relied upon their respective industry firms – e.g. POF, KSEW and PAC, respectively – to undertake maintenance and after-sale support work, helping each service arm reduce the lifecycle cost of procurement. The next step, exemplified in the PAF’s push for Project Azm, is to close as many avenues to foreign dependence as possible and then pivot to the domestic industry as the principal source of new arms, including high-tech solutions otherwise only sought from abroad (especially the U.S. and Western Europe). However, while this approach may lower costs and also channel defence expenditure into the Pakistani economy (partly reducing the strain of arms expenditure by still ensuring that a sizable amount goes into supporting Pakistani works, albeit in relevant human capital, materials sciences and industry, research and development, etc), it does not compensate for the inability to add fiscal power. In this respect, one can expect the likes of POF, KSEW, PAC, HIT, etc transition into more traditional defence vendors seeking profit, which can add to fiscal capacity. In terms of procurement commitments, the Pakistan Navy has emerged, relatively speaking, as the lead driver. In 2016, it was expected that the Navy would orient itself for primarily anti-access and area-denial (A2/AD) missions using its submarine fleet, which will be expanded to 11 ships by 2028 (potentially more if miniature submarines are procured). This would have been a defensively oriented approach built upon the hope that the submarines would deter naval intrusion in Pakistan’s exclusive economic zone (EEZ) and sea lanes. However, by committing to frigate and corvette procurements, the Navy is also seeking to build a visible sea-control element for its EEZ and, potentially, to help guard the submarines from enemy aerial threats (through ship-based surface-to-air missiles). The Air Force, while not issuing orders besides the JF-17 and Erieye AEW&C, has staged its long-term procurement to domestic industry development. With the FGF program, the PAF is moving to end its reliance – at least of complete systems – from abroad on even high-cost and high-end assets. With the PAF Chief of Air Staff (CAS) stating that an FGF needs to be had in 10 years, and with the Project Azm FGF slotted to enter production (at least its prototype) in five years, it is not an aspiration or abstract idea, the FGF is in the pipeline. The Army, by virtue of its numerical size, has to tread carefully with its next-generation weapon systems, lest it suffers from an inadequate system over the long-term. It is evidently assessing its assault rifle and howitzer/artillery options, while continuing to trust the al-Khalid tank platform as its mainstay tank for the future (via the al-Khalid 2). Pakistan’s fiscal uncertainty is a constant risk factor that can serve to reduce or shelve these procurement plans and, potentially, reduce long-term aspirations. For example, by virtue of its budget constraints, the Pakistan Navy has had to focus on arms to deter enemy activity in Pakistan’s EEZ. However, the Navy is of no mind for the foreseeable future to consider power-projection assets. It is an unrealistic factor, even though Pakistan is among the most populous Muslim countries and is geo-strategically in place between three key regions (South Asia, Central Asia and the Middle East). For the latter to become a factor, Pakistan will need to structurally improve its economy and, in turn, allow for greater fiscal capacity. However, it does not appear as though Pakistan’s economic scorecard is connected to its national security policies beyond informing how much can be spent on defence. Rather, Pakistan will need to consider the economy as an asset worthy of growth and advancement in its own right and, in turn, reward decision-makers for positive economic results (while reprimanding them for negative results). “Russia completed the delivery of four Mi-35 combat helicopters to Pakistan.” RIA Novosti. 25 August 2017. URL: https://ria.ru/defense_safety/20170825/1501098049.html (Last Accessed: 21 December 2017). Helen Haxell. 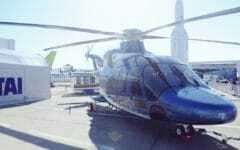 “Paris Air Show: Bell pitches to international market.” Shephard Media. 19 June 2017. URL: https://www.shephardmedia.com/news/defence-helicopter/paris-air-show-bell-platforms-international-scope/ (Last Accessed: 21 December 2017). Press Release. U.S. Department of Defense. 07 December 2017. URL: https://www.defense.gov/News/Contracts/Contract-View/Article/1391570/ (Last Accessed: 21 December 2017). News Release. Defence Security Cooperation Agency. 06 April 2015. URL: http://www.dsca.mil/major-arms-sales/pakistan-ah-1z-viper-attack-helicopters-and-agm-114r-hellfire-ii-missiles (Last Accessed: 21 December 2017). World Air Forces 2017. Flight Global. “Senate Standing Committee on Defence Production in its meeting on Thursday has appreciated the achievements and projects.” Senate of Pakistan. 30 November 2017. URL: http://www.senate.gov.pk/en/news_content.php?id=2611 (Last Accessed: 20 December 2017). “HIT Progressing with al Khalid-I main battle tank production.” Quwa. 18 September 2017. URL: https://quwa.org/2017/09/18/hit-progressing-al-khalid-main-battle-tank-production/ (Last Accessed: 27 December 2017). Ministry of Defence Production (MoDP) Yearbook 2015-2016 Part II. Government of Pakistan. p53. “Pakistan attaches great importance to relations with Ukraine: President.” Radio Pakistan. 23 November 2016. URL: https://web.archive.org/web/20161125144706/http://www.radio.gov.pk/23-Nov-2016/pakistan-ukraine-sign-an-mou-to-upgrade-al-khalid-tank (Last Accessed: 23 December 2017). Press Release. U.S. Department of Defense. 16 February 2017. URL: https://www.defense.gov/News/Contracts/Contract-View/Article/1086534/ (Last Accessed: 23 December 2017). Paul Hornback. “The Wheel Versus Track Dilemma.” Federation of American Scientists. “MKEK: Determined to Become a Platform Manufacturer.” MSI Turkish Defence Review. November 2017. Issue 46. p.44. “Regional Focus – Asia Pacific.” Jane’s 360. 16 June 2016. URL: http://www.janes.com/article/61438/regional-focus-asia-pacific-es2016d4 (Last Accessed: 22 December 2017). Nathan Gain. “IDEAS: from armoured vehicles to mule saddles.” Forces Operations Blog. 25 November 2016. URL: http://forcesoperations.com/en/ideas-from-armoured-vehicles-to-mule-saddles/ (Last Accessed: 23 December 2017). “MKEK Highlights the BORA and MPT-76.” MSI Turkish Defence Review. January 2017. Issue: 34. Press Release. “STM Breaks New Ground in Pakistan.” STM. 22 June 2016. URL: https://www.stm.com.tr/en/news/announcement/stm-breaks-new-ground-in-pakistan (Last Accessed: 28 December 2017). Richard Scott. “New periscope, optronic mast for Pakistan Agosta 90B submarines.” IHS Jane’s Navy International. 25 October 2016. URL: https://web.archive.org/web/20170129025026/http://www.janes.com/article/64906/new-periscope-optronic-mast-for-pakistan-agosta-90b-submarines (Last Accessed: 28 December 2017). “Submarine ESM Success.” Jane’s 360. 04 November 2016. 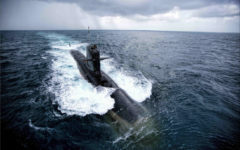 URL: http://www.janes.com/article/65263/submarine-esm-success-indodef16-d3 (Last Accessed: 28 December 2017). “Turkish modernization to Agosta 90.” C4 Defence. 27 December 2016. 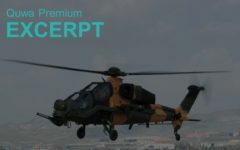 URL: http://www.c4defence.com/Gundem/agosta-90a-turk-modernizasyonu/3414/1 (Last Accessed: 28 December 2017). “Marine Systems Seminar, Putting Potential into Practice.” MSI Turkish Defence Review. 25 December 2017. URL: http://www.milscint.com/tr/deniz-sistemleri-semineri-potansiyelini-uygulamaya-doktu-2/ (Last Accessed: 30 December 2017). Press Release. “SharpEye for Pakistan Navy Submarine.” Kelvin Hughes. 21 February 2017. URL: https://www.kelvinhughes.com/news/269-sharpeye-for-pakistan-navy-submarine (Last Accessed: 28 December 2017). Gordon Arthur. “D&S 2017: Chinese floats whole submarine family for export.” Shephard Media. 06 November 2017. 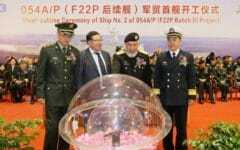 URL: https://www.shephardmedia.com/news/imps-news/ds-2017-chinese-floats-whole-submarine-family-expo/ (Last Accessed: 27 December 2017). Richard D. Fisher Jr. “IDEX 2017: China offers S-26 conventional submarine with Stirling engine AIP.” Jane’s Defence Weekly. 22 February 2017. URL https://web.archive.org/web/20170222124521/http://www.janes.com/article/68024/idex-2017-china-offers-s-26-conventional-submarine-with-stirling-engine-aip (Last Accessed: 28 December 2017). Richard D. Fisher. Jr. “Military-Technical Sector Transformation.” China’s Military Modernization | Building for Regional and Global Reach. 2010. p.111. “Algeria receives third C28A corvette.” Defence Web. 29 August 2016. URL: http://www.defenceweb.co.za/index.php?option=com_content&view=article&id=44860 (Last Accessed: 28 December 2017). Press Release. “Commissioning and Induction of Fast Attack Craft (Missle) PNS HIMMAT built for Pakistan Navy at KS&EW.” Karachi Shipyard & Engineering Work (KSEW). 28 July 2017. URL: http://www.karachishipyard.com.pk/commissioning-and-induction-of-fast-attack-craft-missile-pns-himmat-built-for-pakistan-navy-at-ksew/ (Last Accessed: 28 December 2017). “Pakistan to construct multipurpose OPV indigenously.” Associated Press of Pakistan. 12 June 2017. URL: https://www.app.com.pk/pakistan-to-construct-multipurpose-opv-indigenously/ (Last Accessed: 27 December 2017). Ridzwan Rahmat. “LIMA 2017: MMEA unveils design of new helicopter-capable OPV platform.” Jane’s Navy International. 22 March 2017. URL: https://web.archive.org/web/20170322160346/http://www.janes.com/article/68919/lima-2017-mmea-unveils-design-of-new-helicopter-capable-opv-platform (Last Accessed: 28 December 2017). “National Defence Minister is in Pakistan.” Milliyet. 03 June 2016. URL: http://www.milliyet.com.tr/milli-savunma-bakani-isik-pakistan-da-kocaeli-yerelhaber-1406967/ (Last Accessed: 28 December 2017). “Interview with Dr. Dr. İsmail Demir.” MSI Turkish Defence Review. November 2016. Issue 31. Sena Guler. “Pakistan looks for helicopters, naval ships from Turkey.” Anadolu Agency. 25 November 2017. URL: http://aa.com.tr/en/asia-pacific/pakistan-looks-for-helicopters-naval-ships-from-turkey/979403 (Last Accessed: 28 December 2017). Press Release. STM. June 2016. URL: https://www.stm.com.tr/en/news/announcement/stms-proud-is-launched-in-pakistan (Last Accessed: 28 December 2017). Susan Buchanan. “Boatbuilding: Alive and Well on the Gulf Coast.” Marine News. August 2017. Susan Buchanan. “Economics & Utility Redefine Today’s Workboat Output.” Marine Link. 23 October 2017. URL: https://www.marinelink.com/news/economics-redefine430582 (Last Accessed: 28 December 2017). Buchanan. Marine News. August 2017. Usman Ansari. “Pakistan shops for warships to replace British frigates, modernize Navy.” Defense News. 27 December 2017. URL: https://www.defensenews.com/naval/2017/12/27/pakistan-shops-for-warships-to-replace-british-frigates-modernize-navy/ (Last Accessed: 28 December 2017). Andrew Tate. “Another Jiangkai II-class frigate enters service with the Chinese navy.” Jane’s Defence Weekly. 26 June 2017. URL: https://web.archive.org/web/20171201043457/http://www.janes.com/article/71766/another-jiangkai-ii-class-frigate-enters-service-with-the-chinese-navy (Last Accessed: 28 December 2017). Michele Capeleto. “China’s CSOC showcases a new 4,000-tonne frigate.” Jane’s Navy International. 28 March 2017. URL: https://web.archive.org/web/20170328063637/http://www.janes.com/article/69073/china-s-csoc-showcases-a-new-4-000-tonne-frigate (Last Accessed: 28 December 2017). “Indonesia, China agree to review maritime radar procurement.” Antara News. 23 September 2014. URL: https://en.antaranews.com/news/95780/indonesia-china-agree-to-review-maritime-radar-procurement (Last Accessed: 28 December 2017). “Navy Ships Portfolio.” Delta Marine. Paolo Valpolini. “STM eyes the PES programme.” European Defence Review. URL: http://www.edrmagazine.eu/stm-eyes-the-pes-programme (Last Accessed: 28 December 2017). Algeria paid $60-70 million U.S. for integrating the Umkhonto IR to its two MEKO A-200AN frigates. Each MEKO A-200AN has 32 VLS cells. If each F-22P has room for 16 cells, one could extrapolate that it would cost roughly the same for Pakistan to re-fit all four F-22P with the Umkhonto. Source: Denel Financial Report 2016-2017. p.117. Gabriel Dominguez. “Pakistan Navy test-fires anti-ship missile from Sea King helo.” Jane’s Defence Weekly. 27 September 2017. URL: https://web.archive.org/web/20171111041826/http://www.janes.com/article/74428/pakistan-navy-test-fires-anti-ship-missile-from-sea-king-helo (Last Accessed: 28 December 2017). Alan Warnes. “Troubled Waters.” Asian Military Review. May 2017. Press Release. Inter Services Public Relations (ISPR). 09 January 2017. URL: https://www.ispr.gov.pk/front/main.asp?o=t-press_release&id=3672#pr_link3672 (Last Accessed: 28 December 2017). Usman Ansari. “Pakistan conducts anti-ship missile test.” Defense News. 16 March 2017. 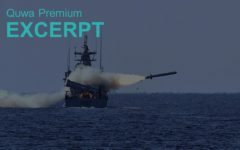 URL: https://www.defensenews.com/land/2017/03/16/pakistan-conducts-anti-ship-missile-test/ (Last Accessed: 28 December 2017). Alan Warnes. “Dubai Airshow: Pakistan JF-17 returns to Dubai.” Arabian Aerospace. 13 November 2017. URL: http://www.arabianaerospace.aero/dubai-airshow-pakistan-jf-17-returns-to-dubai.html (Last Accessed: 21 December 2017). PTV interview with Air Chief Marshal Sohail Aman, the Chief of Air Staff of the Pakistan Air Force, on 23 March 2017. Alan Warnes. “JF-17 Thunder: Pakistan’s multi-role fighter.” Note: a special publication released by the Pakistan Air Force during the Paris Air Show of 2015. Note: the inclusion of a single-panel MFD and three-axis fly-by-wire (FBW) was directly revealed to Quwa by a Pakistan Air Force (PAF) official. Alan Warnes. Paris Air Show. 2015. Press Release. “Dual-Seat JF-17B Thunder Completes Maiden Flight.” Pakistan Air Force. 28 April 2017. URL: http://www.paf.gov.pk/press_release/uploaded/1496115883.pdf (Last Accessed: 23 December 2017). Alan Warnes. Arabian Aerospace. 2017. “US congress blocking funds for F-16 purchase: report.” Dawn News. 29 April 2016. URL: https://www.dawn.com/news/1255209 (Last Accessed: 23 December 2017). Amir Zia. Interview with Air Chief Marshal (ACM) Sohail Aman. Bol Narratives. 01 April 2017. URL: http://www.bolnarratives.com/two-fronts-one-mission/ (Last Accessed: 23 December 2017). Press Release. “Groundbreaking Ceremony of Aviation City and Air University Aerospace & Aviation Campus held at Kamra.” Pakistan Air Force. 06 July 2017. URL: http://www.paf.gov.pk/press_release/uploaded/1503661222.pdf (Last Accessed: 23 December 2017). 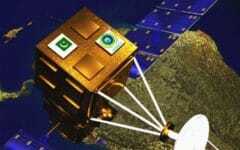 “‘Pakistan to send satellite mission into space in two years’.” ARY News. 07 December 2017. URL: https://arynews.tv/en/air-chief-space-mission/ (Last Accessed: 23 December 2017). Naveed Siddiqui. “Intruders traced on radar won’t be able to go back, warns air chief.” Dawn News. 07 December 2017. URL: https://www.dawn.com/news/1375166/intruders-tracked-on-radar-wont-be-able-to-go-back-warns-air-chief (Last Accessed: 21 December 2017). “Pakistan this Week with Mansoor Azam Qazi.” Interview with Minister of Defence Production Rana Tanveer Hussain. PTV. 21 August 2016. Accessible on YouTube. URL: https://youtu.be/lbqCdxDwXfg?t=7m30s (Urdu). Birol Tekince. “IDEAS serves as a platform to portray a positive and realistic image of Pakistan.” MSI Turkish Defence Review. November 2016. Issue. 31. Amir Zia. Bol Narratives. April 2017. Farhan Bokhari. 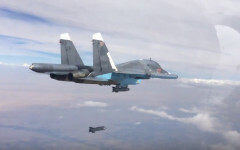 “Pakistan official confirms Su-35 talks.” IHS Jane’s Defence Weekly. 18 September 2015. URL: https://web.archive.org/web/20151124073015/http://www.janes.com/article/54532/pakistani-official-confirms-su-35-talks (Last Accessed: 23 December 2017). “”Rosoboronexport” does not plan in the near future contracts with Pakistan.” RIA Novosti. 08 September 2016. URL: https://ria.ru/defense_safety/20160908/1476401656.html (Last Accessed: 23 September 2017). Alan Warnes. “Pakistan to get more Erieyes.” Air Forces Monthly. 19 May 2017. URL: http://www.airforcesmonthly.com/2017/05/19/pakistan-to-get-more-erieyes/ (Last Accessed: 23 December 2017). Press Release. “Rockwell Collins selected for Pakistan Air Force C-130 upgrade.” 31 March 2017. URL: https://www.rockwellcollins.com/Data/News/2017-Cal-Yr/GS/FY17GSNR33-Pakistan-C130.aspx (Last Accessed: 23 December 2017).